The Double Trio is one of the latest bet types available. This article brought to you by Pureform covers the new Double Trio bet available now on Australian horse racing. Good to see Tatts Betting coming up with some new punting ideas. This time it is the Double Trio. Well, not exactly new as this bet type has been available in Hong Kong for some time, the little brother of the world famous Triple Trio. The Double Trio isn’t a hard bet to explain. Simply select the trio, that is the first three placegetters in any order, in the two nominated races. As is currently done, the last two events on the major meeting for the week are used as the two legs of the Double Trio. So typically at the earliest races 7 and 8 will be the two events for the Double Trio. First conducted in August 2013 the pool has grown to around the $100,000 mark and should continue to attract more interest. As of writing this article the record dividend was a massive $205,000 on a $1 dividend so clearly there is scope for some huge payouts. Realistically an average dividend is around the $10,000 mark but when jackpots occur as they often do a quite incredible dividend of the Tattslotto Division One level could be in the offing. A trio bet type consists of selecting the first three placegetters in the correct order. It was an original bet type introduced into Australia in the 1970’s and was replaced somewhat later by the trifecta (and other exotics). The trio is an excellent bet type but it seems unlikely to be re-introduced again. 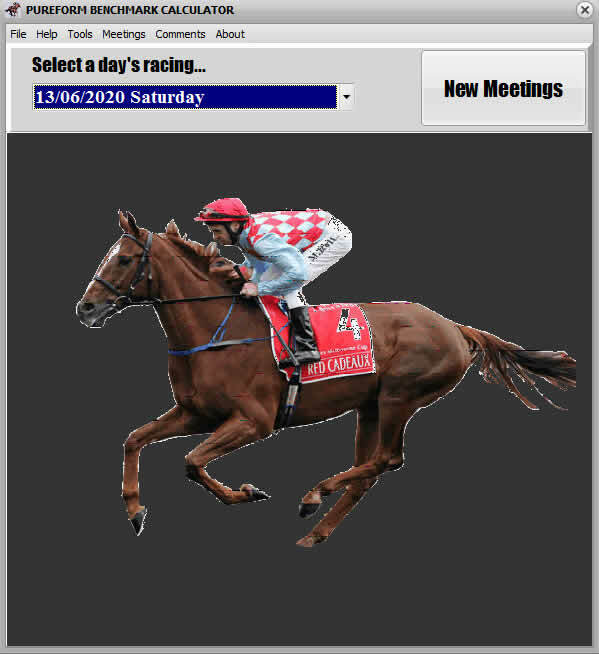 The double trio is a simple extension and requires the punter to select the first three placegetters in two events. The minimum spend is $3 unless your investment per combination is 100%. Most punters will take multiple combinations in each leg and so the outlay will be higher than $3 but simply taking 3 runners in the first leg and 3 runners in the second can be taken for a $1 bet. Most people are not that confident! Flexi-betting is available on the Double Trio and the minimum stake is the usual 1% of the $1 combination. If there is a scratching, a refund is paid on every combination including the scratched runner – no substitutes. The table works for the first or second leg. So to take 4 horses in the first leg and 3 in the second leg (which I will call a 4 x 3 DT) creates 4 combinations (the first and second leg numbers can be alternated, i.e. take 3 in the first leg and 4 in the second, which is a 3 x 4 DT). Taking 5 runners in the first leg and 6 in the second generates 200 bets (5 x 6 DT). Simply add a $ sign in front for the $1 bet total. Flexi betting will return a percentage of the $1 dividend. Clearly the Double Trio is not going to be an easy catch and so realistically a minimum of 4 runners in each leg (a 4 x 4 DT) is a mandatory number with in all likelihood a greater number being the norm. Taking 4 runners in each leg will produce 16 combinations and so for a paltry $5 investment the return is 31% of the $1 dividend. Not bad going. So to take 5 runners in each leg (a 5 x 5 DT) will generate 100 double trio bets and for a $20 investment will return 20% of the $1 dividend. The 5 x 5 DT I would imagine will become the standard in Double Trio betting and is a real opportunity to net a nice return for minimal outlay. Note that more funds are required to couple 8 or more runners ($20 only covers 0.6% of the 8 x 8 Double Trio. $40 would yield roughly 1.2% which is sufficient for the 1% rule for flexi-betting. A greater investment is needed for combining larger numbers). So the $20 punter can take 7 runners in each leg and if successful will be returned around 1.6% of the $1 dividend. So a repeat of the $205,000 dividend would return around $3,300. On a $10,000 dividend the return is about $160. The only question is can you get the trio in both events when taking 7 runners? You only need to focus on two races unlike a Treble or Quaddie where 3 or 4 races are involved. Yes, chances are the knockout leg of the Quaddie will also be a leg of the Double Trio but that’s racing. The bet is taken on the last two races so the whole day’s racing can be assessed for track condition and bias, in form jockeys and trainers – the list goes on. Dividends will continue to improve as the task is difficult, but not impossible and unlike a Lotto style game, there is a skill factor which can give the astute punter an advantage. Try Quinella Staker - the ultimate Quinella software! IThe bet currently does not allow for bankers in any leg and basically is a “box” style wager. Clearly some races favour perhaps one or two runners to fill the placings with a number of “also rans” as in a roving banker style wager. In its current format, all runners taken are rated equal chance. This may be altered in the future. There you have it. The Double Trio. A bet that I think will be a real winner.